A new permanent collection installation greeted visitors to the Phillips last week right when they walked through the double glass doors into the galleries. What’s on view? 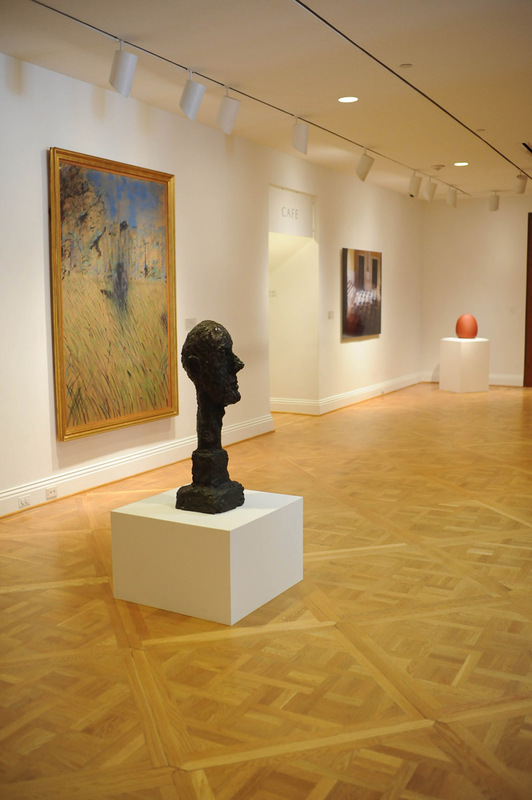 A 1960 sculpture by Alberto Giacometti, a 1952 painting by Francis Bacon, a 2001 photograph by James Casebere, and a 1988 sculpture by Juan Hamilton. This group of works will remain on view throughout the winter. This entry was posted in Experiment Station and tagged acquisitions, Alberto Giacometti, congenial spirits, Francis Bacon, James Casebere, Juan Hamilton, painting, photography, sculpture. Bookmark the permalink. How wonderful. How often do we get to see a Giacometti and a Juan Hamilton in the same room. No kidding! It was a delight to see these works come together. Another post is coming soon about the selection process for this particular gallery installation.